It’s mum time again… As the leaves turn color and drift down from the trees, I’ve been reflecting about my 2011 garden and some of the best finds and lessons learned of the year. I’m going to start with an unexpected recommendation: a new tool. When I was coordinating the April 30th workshop, “Expert Advice andPractical Tips to Beautify Small Urban Spaces,” I read about a hand tool called the Cobrahead®. 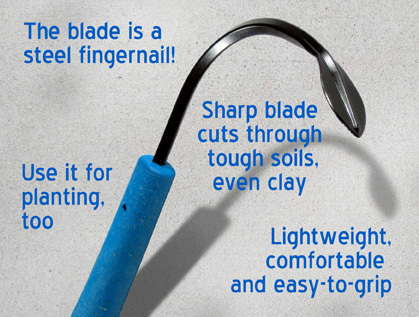 It claimed to be “The Best Tool In Earth” (clever) and would help with weeding, digging, planting, transplanting, edging and furrowing. I sent an email to Geoff Valdes at Cobrahead asking for one of the tools to give as a door prize at the workshop. Geoff generously sent a short handle Cobrahead Weeder and Cultivator as a door prize AND another to use myself. At the workshop, several of the experts told me I’d be sad to give that tool away. I was glad to tell them that I had one to use. And did I use it! In my street-side tree garden, the roots grow up and into the added top soil, making a mesh that can be inpenetrable. I’m fairly strong but it takes dedicated effort to loosen the soil enough to remove the tenacious roots and begin to plant… With the Cobrahead, it was so much easier! Surprisingly so. Cobrahead calls this tool a “steel fingernail.” That’s a good description. It cut through the soil and was very effective in pulling out weeds. Many times I used it in place of a trowel. The price is $24.95 and I recommend it. 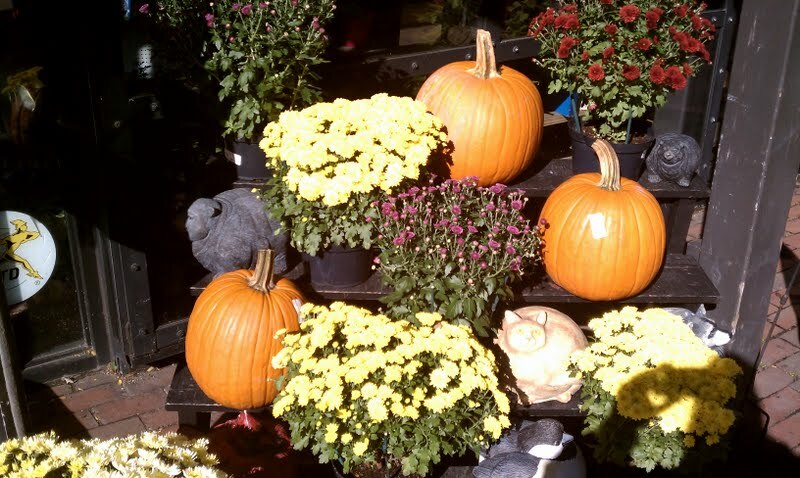 Consider buying for yourself or giving as a gift to your gardening friends and family. The tool is made in Wisconsin. The sales materials say the handle is a mix of recycled polypropylene and agriculturally grown flax fiber. The steel blade is American made with a minimum recycle content of 60%. The tool is tough and should last many years.